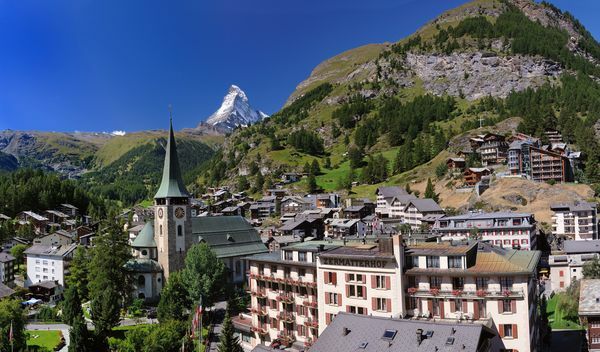 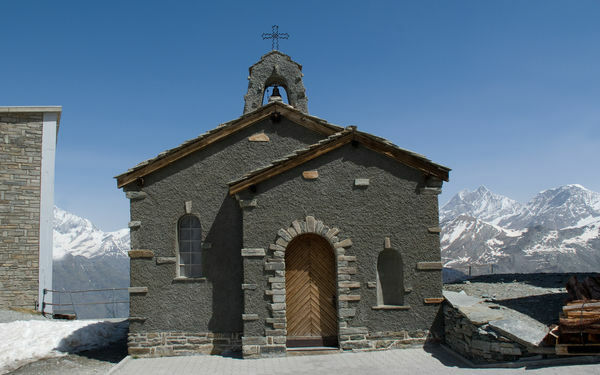 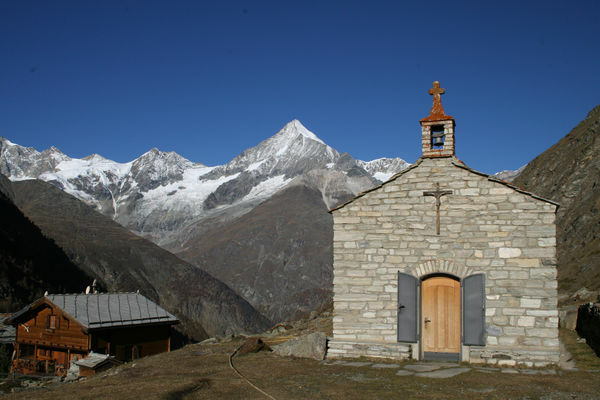 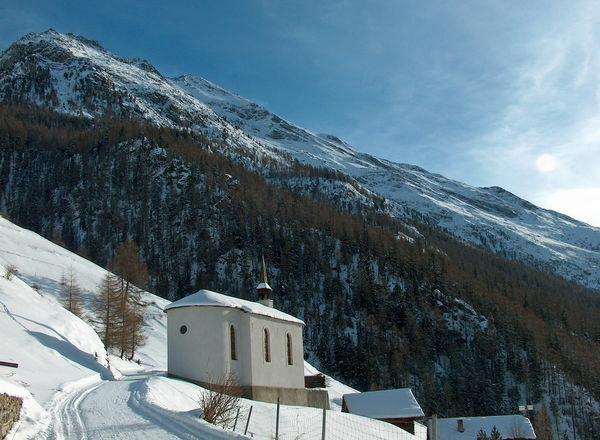 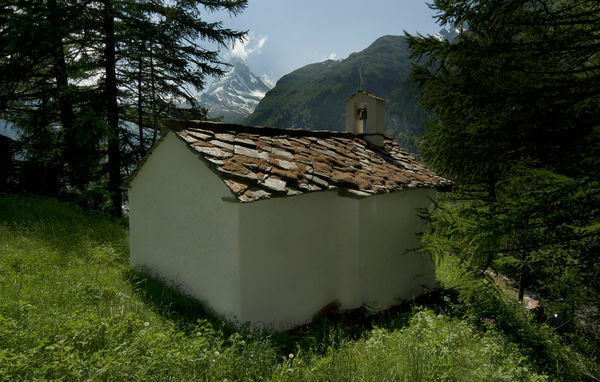 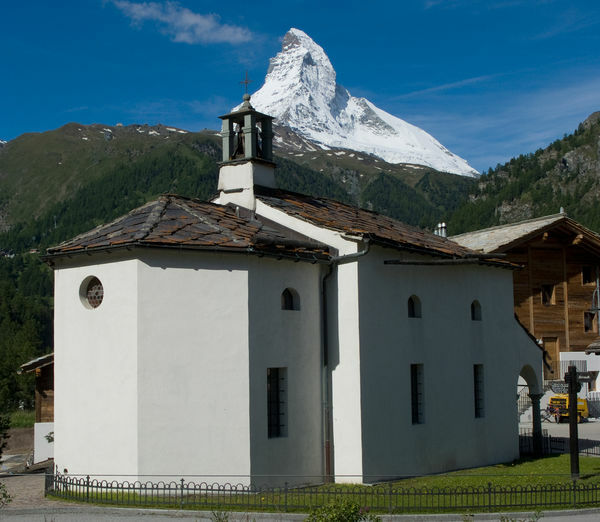 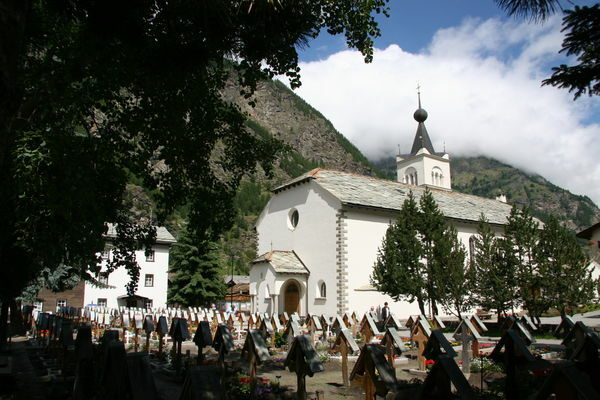 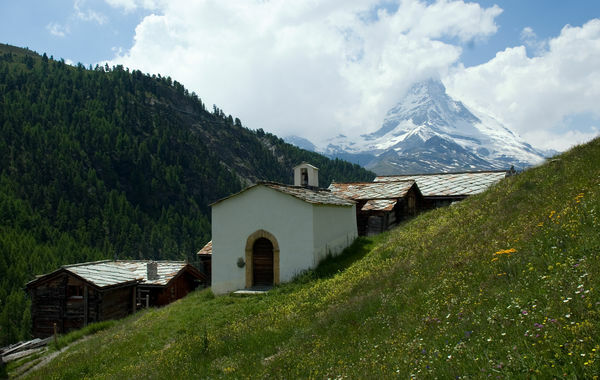 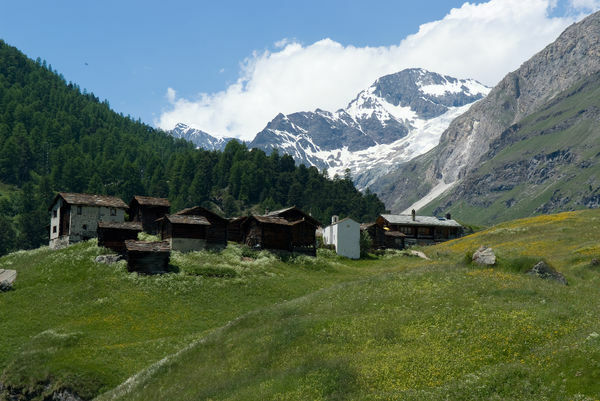 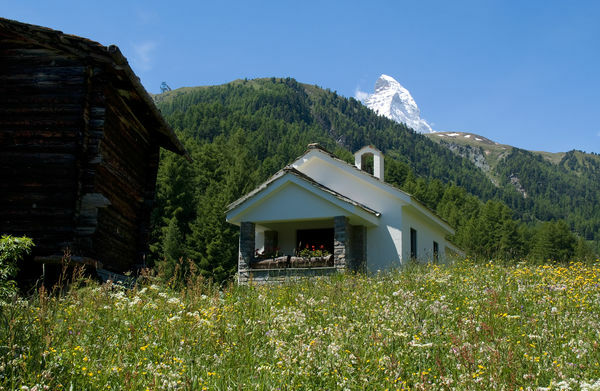 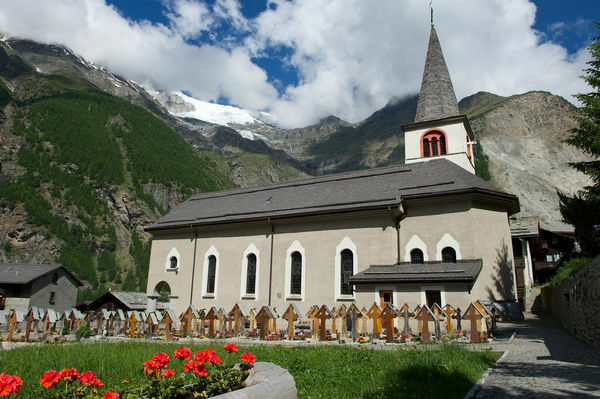 There are many sacred buildings to wonder at in and around Zermatt: large churches and small chapels made of cement, stone or wood. 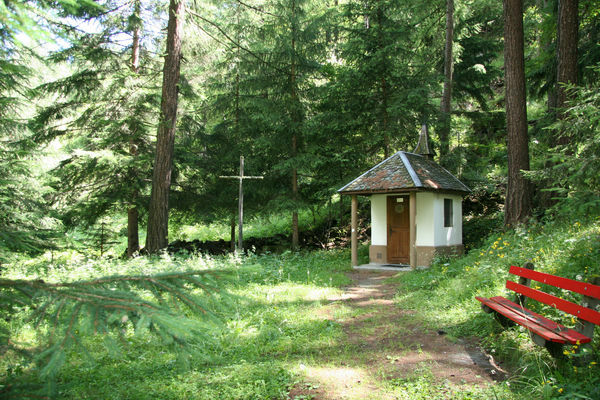 They invited you to visit and attend mass. 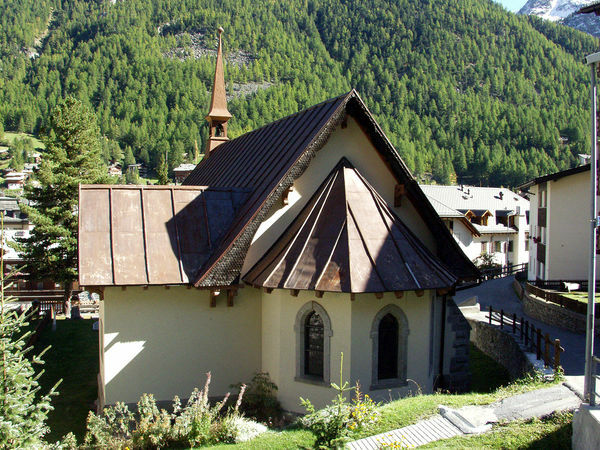 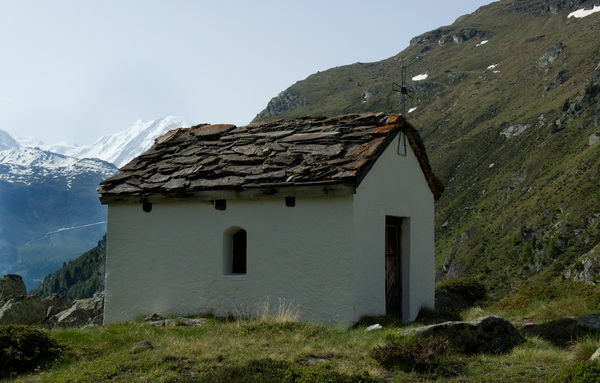 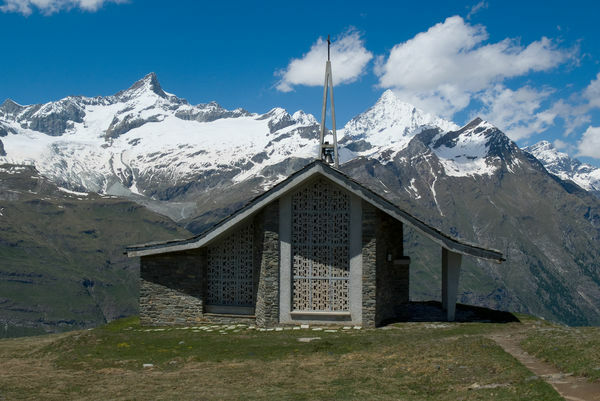 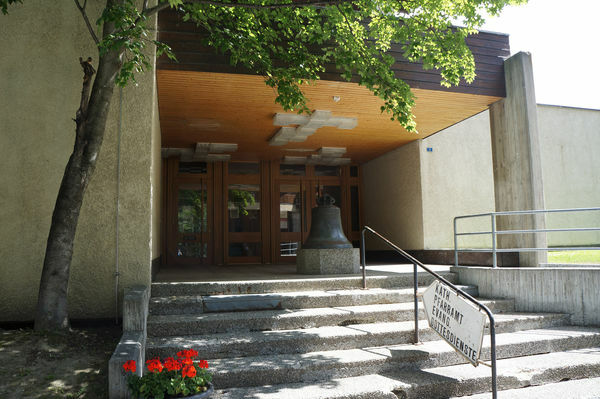 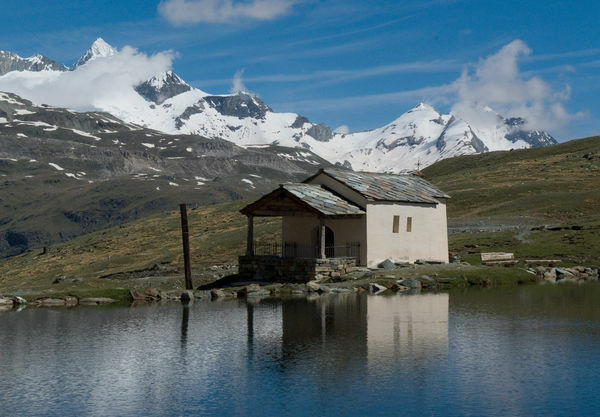 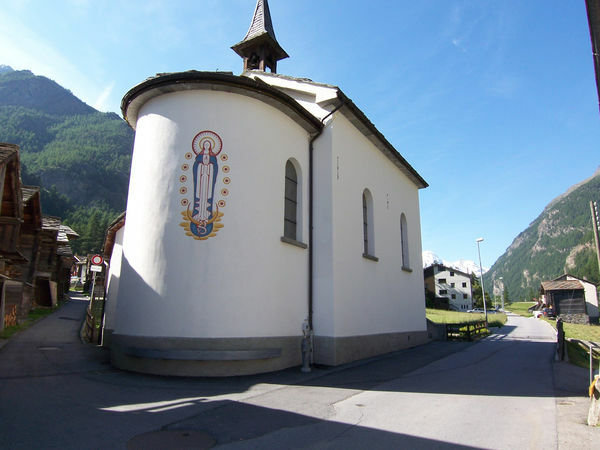 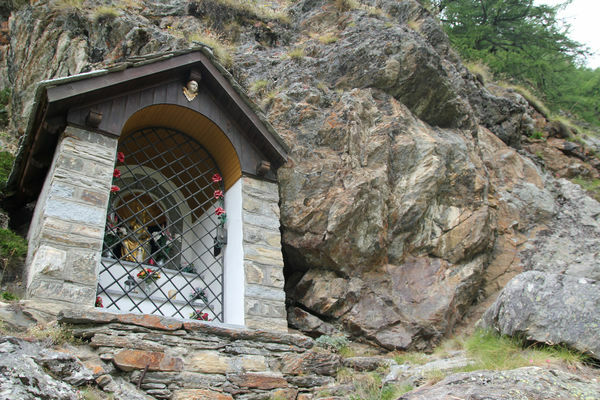 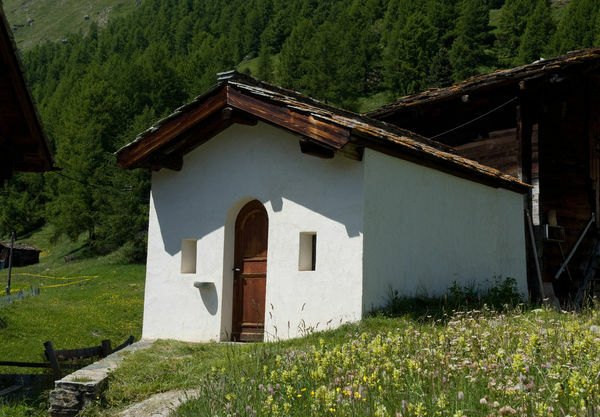 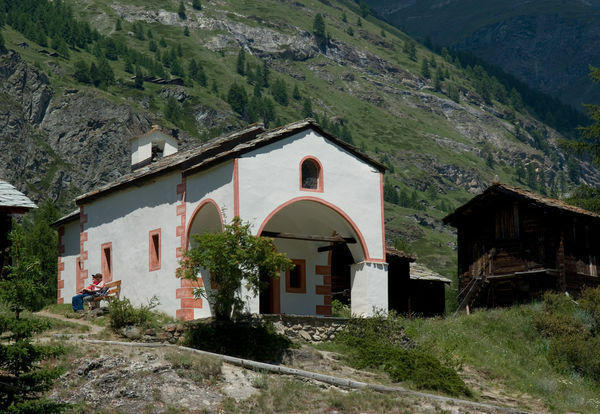 The chapel of Zum See, the newest of Zermatt’s chapels, is dedicated to St Barbara. 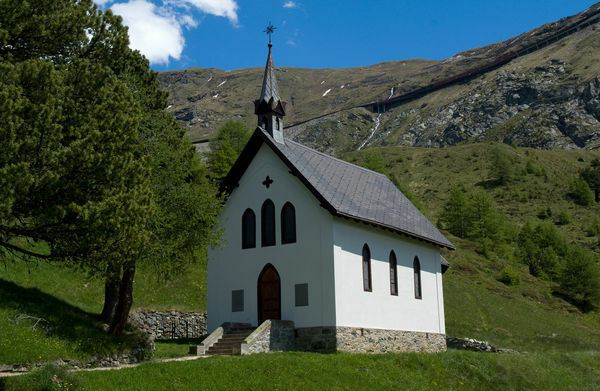 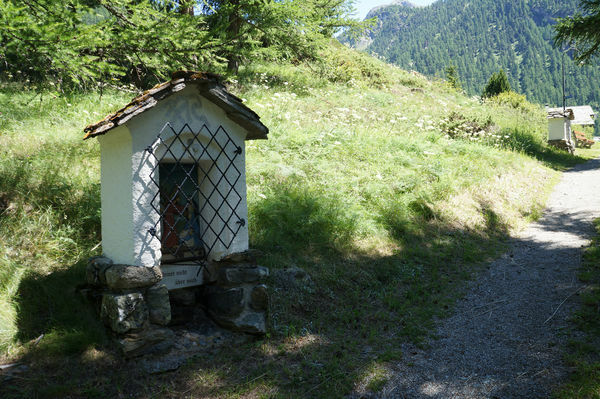 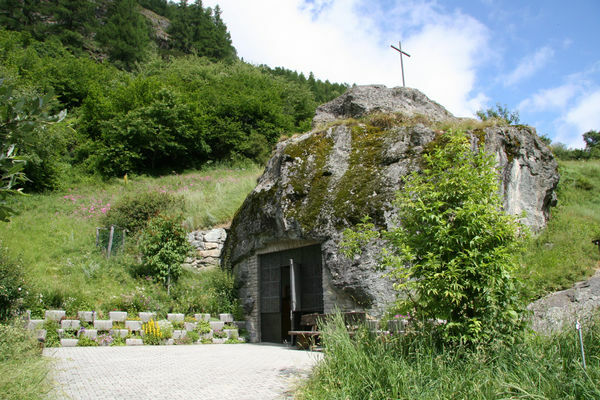 The small chapel is located by the hamlet of Zum See, whose name means “by the lake” – but there is no lake here, just lush alpine pastures and small patches of forest.